Will you celebrate this event for the environment – and how? Watch this video from the World Wildlife Found (WWF) – it’s a great announcement in favour of the occasion. On the other hand, others claim, Earth Hour is not about saving emissions that specific evening but about increasing awareness about climate change and the exhausting of precious limited resources. The first group may then claim that electricity is the motor of prosperity and turning the lights off is the opposite of what we should do; rather we should turn the lights on to show sympathy with all those that still lack the benefit of abundant domestic electricity. Stated this way, the opening question is extremely polarised. This makes it easy for people to engage and put forward rather simple arguments. However, as the discussion continuous – and admittedly with some teacher moderation – we eventually land in the conclusion that this event may be regarded a quite good media stunt. Somewhere in between the original positions, it seems. This question is great for demonstrating that diametrically opposing views often exist that may both very well be rational and correct – even though they are mutually exclusive. This is because sustainable development is a subject that to a large degree is based on values. Depending on your values you probably end up in different opinions. Which is not to say that other opinions than your own are wrong – they may be very right as well, in their own way. Realising this, is a great leap in itself for many students. The next step may then be to realise that consensus may actually not be a desirable goal. Rather, it is the differences that are brought in open light through a constructive and open debate that are the most valuable output of the discussion. Realising you opponent’s true intentions and values put you in a position to formulate a compromise that could have the potential of being accepted by all parties. In classrooms activities, sometimes my students realise that it may be possible to find a solution to real life sustainability issues – complex and unpredictable as they often are – in a compromise that may not be considered perfect by any part but acceptable by most. When that happens, I feel like I have succeeded in this student group! 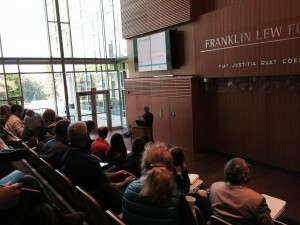 EESD15 conference at UBC, Vancouver, June 9-12, 2015. Four days in Vancouver went fast, teeming as they were with interesting talks, inspiring workshops, intriguing discussions and many tremendously stimulating meetings with people, all deeply engaged in engineering education for sustainable development. From the conference I take all those meetings with my colleague university teachers from all around the world, with students, workshop leaders, and participating stakeholders of many kinds. To give just a few examples of the nearly 100 talks and workshops that were presented: Dr. Matty Janssen presented the work to organise a MOOC on sustainable development at Chalmers, Sweden; Dr. John Fitzpatrick at the University College Cork, Ireland, gave a very invigorating talk on experiences from introducing sustainability to the engineering curriculum and his view on the need to engage engineering students more with the economic and social dimensions of sustainability; Dr. Claes Fredriksson and Dr. Tatiana Vakhitova at Granta Desing held a half-day workshop on a 5-step methodology for teaching sustainability to engineers, supported with the CES EduPack software; Dr. Alan Young, a senior lecturer in graphic design at the AUT University, New Zealand, gave a quite contrasting talk on the importance of communication design – understood as the strategic process of creating the form, content and delivery of information, including marketing and advertising – within the engineering design process; Dr. Rien van Stigt at the Utrecht University of Applied Sciences, the Netherlands, presented together with four of his students a computer game for demonstrating complexity and system dynamics, in this case relating to railway planning and construction. The three key note talks presented by Dr. Jim Cooney, McGill University; Dr. Cynthia Atman, University of Washington; and Dr. Karel Mulder, Delft University of Technology; were all very inspiring indeed and at least Dr. Atman’s talk will definitely have a lasting effect on my own practice in pedagogical research. Many thanks to the presenters of those talks and all others! Also, many thanks to all delegates that were at our own talk and to those that participated in our workshop on the use of games in our teaching. The full text paper is now available online. The EESD15 was the seventh international conference on Engineering Education for Sustainable Development, and it was recently held at University of British Columbia, Vancouver. 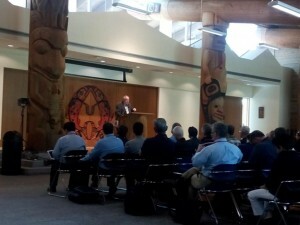 I would like to take this opportunity to thank the organisers at the University of British Columbia for a rewarding and very well-organised conference; to my cooperation partners at the Centre for Sustainable Development at the University of Cambridge for a great work together with our paper and workshop on education games; and to my colleagues at the Royal Institute of Technology in Stockholm for giving me the opportunity to work with this project and presenting at the conference. 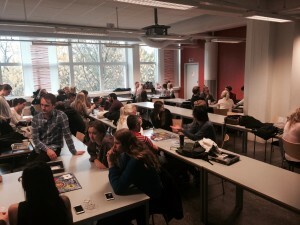 Today, I gave a talk at the KTH Sustainability Education Day 2015 on the work with the course module that I have designed and been teaching for the last few years at the Royal Institute of Technology: Introduction to Sustainable Development. My impression was that there was a large interest in the module and there may also be a general interest to people outside KTH. Therefore, I have written a description of the module, which I publish here. The Introduction to Sustainable Development course module is a mini-course corresponding to 1,5 ECTS (approximately one week’s effort for the students), which can be embedded as a part of a larger course. In many cases, I am hired to give this module as part of an introduction course in the first year of an Engineering Degree programme. This is a really good way to introduce sustainability for the engineering students and meanwhile emphasise the connection of sustainability to their future profession as engineers. Literature used is the text book “Sustainable Development – an Introduction for Engineers” (Jon-Erik Dahlin, Studentlitteratur, ISBN 9789144092669) together with references to papers and reports. Three small written assignments, one for each of the seminars; students should demonstrate critical thinking and reflection by formulating arguments and counterarguments. Written test; computerised multiple choice style as an additional incentive for reading the literature. Class room activities in the module are highly interactive, both the lectures and the seminars, during which we play several board games. The Fish Banks game and the Dilemma game have different and complementary learning objectives, but both spawn discussions, interaction, and competition as well as cooperation. In Fish Banks, students form teams that take on the role of fishing companies. They can order and trade with fishing ships and have to decide where to send their ships to fish. Teams need to make strategic decisions with limited access to information. The game demonstrates the tragedy of the commons phenomenon, typically ending with overfishing of the ocean. In the debriefing we discuss the student’s experiences and their explanations to why thing took the course it did. We reflect upon how complexity and system dynamics affects their decisions and relate to what other situations in life and society there are where similar processes may take place. 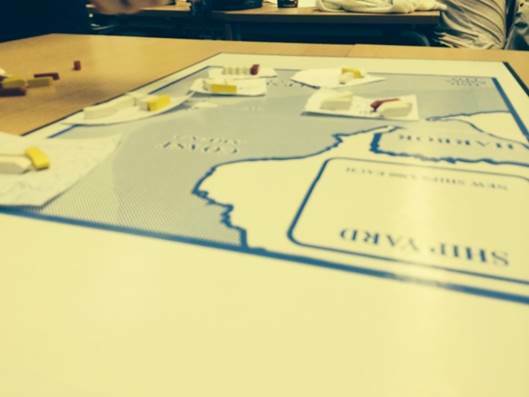 The Fish Banks board game is a highly interactive teaching tool. In Dilemma, students have to answer quiz questions on sustainability facts, and argue for or against certain positions regarding moral dilemmas on various sustainability issues. Quiz questions may be easier to answer for those that have taken in the text book literature before they came to the seminar, but various clues found in the game may help those with less knowledge to progress on the board (with a slower paste though). Moral dilemmas in the game are polarised with two opposing positions and players may have to argue for a position they do not agree on – which of course is a very interesting and enlightening experience. In the debriefing we pick a few of those dilemmas and lift the level of discussion somewhat, realising that many dilemmas in reality may be grey rather than black or white even though they are often polarised in the public media debate. 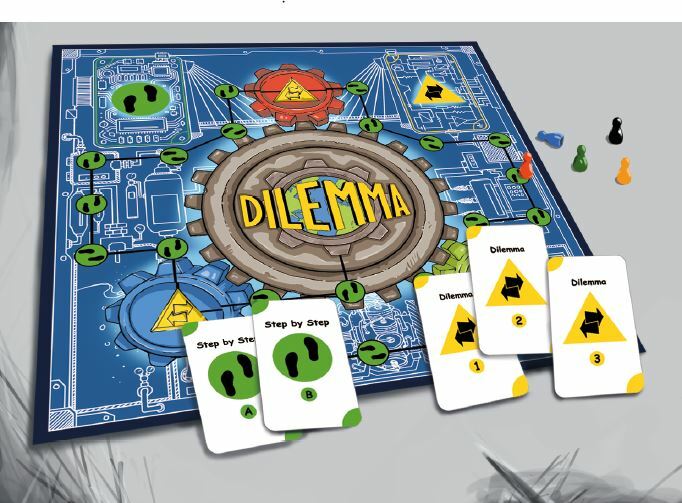 We play Dilemma two or three times during the module, each time with a different set of moral dilemmas. 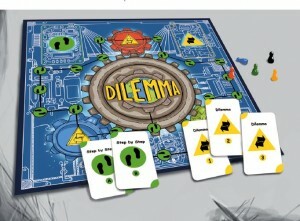 The Dilemma board game is a quiz-like board game for 3-5 players, and a fun way to learn about sustainable development. The experience from giving this module to 600-800 students on a yearly basis for several years is that they like the interactivity, both with the teacher and with their peers. They like the framework of playfulness that the games give but understand seriousness of the subject. Besides a rather thorough introduction to the subject of sustainability, the main lessons learnt from this module are that complexity and system dynamics can make both consequence analysis and decision making difficult but that both are essential in sustainability leadership; and that respect for differences, transdisciplinarity and communication are all necessary for a truly sustainable development. Release party for my book! Tomorrow, Wednesday 11th March 2015 it’s time: release party for my book! It is really really great to now at last get to celebrate the publishing of my book – a text book in sustainable development: “Hållbar utveckling – en introduktion för ingenjörer” (Eng. “Sustainable Development – an Introduction for Engineers”). And yes, I agree… It took a lot more time to write it than I had anticipated. It all started about two years ago. 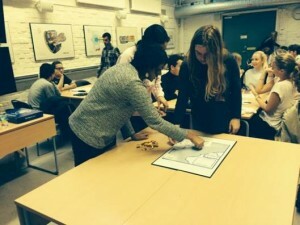 I had already been involved in the teaching for sustainable development in several degree-level Engineering programmes at the Royal Institute of Technology (KTH) in Stockholm (Sweden), and I where in the middle of developing a completely new course module aimed at the introduction of sustainable development for mechanical engineers. I tried to find good literature to use in the course module, literature that was actually written for engineering students – who have a good understanding of mathematics, problem solving and technology, among other things. So I wanted to use literature that used equations and models that we could work with in the module, and problems that we could introduce and that I know students will see again in subsequent courses – sometimes from another perspective. I wanted to use literature that used examples from technology to show how engineering can play a positive role for sustainability. Examples from technology that presented how great technology can be. I wanted to sow the feeling among students that as engineers, they can help solving the sustainability dilemmas – as engineers they can save the world! And I wanted to use literature that did not preach, that did not proclaim that we have a moral obligation, but that emphasised that sustainability is full of contradicting values and perspectives. Right and wrong solutions are not objective, but part of what different stake holders chose to claim. Truly understanding other people’s perspectives and a humble attitude to the reality of how people and society work are key elements to achieving anything at all. Background: basic facts about the concept of sustainability, the challenges we face, and various strategies and ideas to how to meet those. 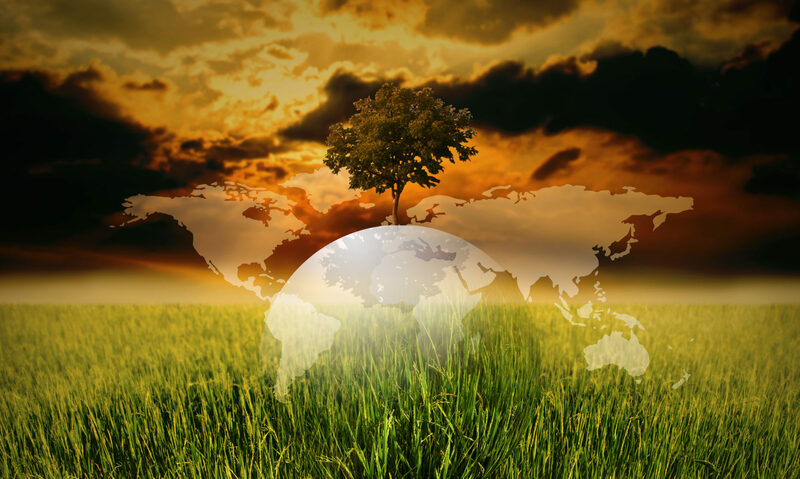 Reflection: critical thinking and the understanding of sustainability as a subject of values. Discussion: the ability to formulate an opinion, to listen to other peoples arguments, to debate, negotiate and compromise with others to reach a decision – and to live with the decision even when it isn’t perfect. Integration into subject specific conditions. The four phases do not have to come in order, but may preferably be trained in parallel. In my teaching, and in my book as well, the goal is not to make the students think in a certain way but to help them find their way to think. Therefore it is absolutely essential to discuss the roles of various perspectives and how different values and opinions influence how you look on the subject of sustainability. Since I couldn’t find all this in a book already written, I had to write this book. If you are a teacher, my hope is that you will also find it useful in your teaching. And if you are a student, I hope that you’ll find it interesting and rewarding to read. Today, I submitted my paper contribution to the EESD15 conference (E.E.S.D. is for Engineering Education for Sustainable Development), which is organized by the University of British Columbia (Vancouver, Canada) this summer. 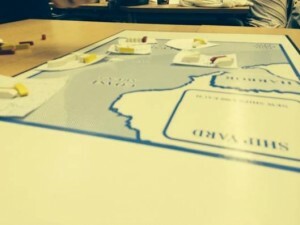 In the paper, I and my co-authors reflects on what we’ve learnt from using various games in the class room (especially board games, role playing games and simulation games). Our laboratory has been class rooms at the Royal Institute of Technology (KTH) in Stockholm (Sweden) and the University of Cambridge (UK), where we conduct education in degree-level Engineering programmes. Games in the class room have shown to be powerful learning tools for several reasons: Students consider it as a playful way to learn and games help to generate interest and curiosity. Also, games make it possible to simulate situations and processes in the class room that would otherwise be difficult or impossible. One example on that is decision making in complex situations with limited access to (partially outdated) information, where decisions both influence and are influenced by complex system dynamics – exactly as in many real situations! The greatest learning output do games have, we experience, when combined in a well thought out way with traditional teaching such as lectures, assignments (individual and in group), literature studies – and a good briefing and discussion afterwards about what the students experienced during the game. It will be exciting to discuss these issues with other teachers and experts of this field from around the world. I look forward to the EESD15 conference in Vancouver this summer! The world is not black or white, but a caleidoscope of opportunities. Development can become more sustainable by following many paths, but all people do not agree on which path is best – or even whether some paths lead to more sustainability or less. Accepting that there may be no objective right or wrong answer to sustainability issues and that several sometimes seemingly conflicting perspectives may coexist, is one of the first steps towards working for true sustainability. Many of the sustainability issues we face are complex and a consequence of dynamic systems with internal interconnected feedback loops. Complexity is an important aspect of sustainability and the tools that I have come to use in my own teaching for sustainable development are aimed to put students in situations that simulate complexity in decision making. 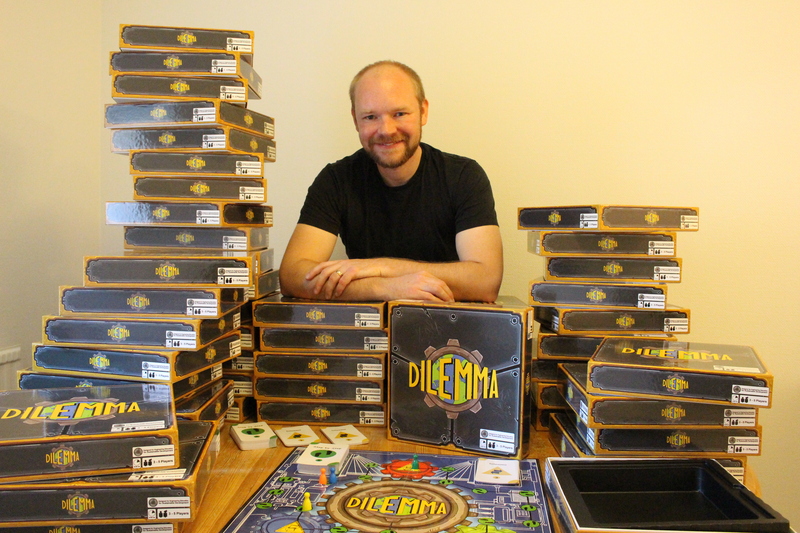 For example the various board games that I have found to be extremely useful in the class room, provide excellent opportunities to discuss both the complexity and perspectivity issues. Engineering is a key for sustainability and engineers are key workers for sustainable development. Technological may not provide solutions to all problems, but it definitively has the potential to redefine the boundaries for sustainability. Engineers are the providers of new possibilities. The challenges that our generation face are immense and definitive: how we choose to manage our society within the next few years will undoubtedly have a huge effect on the course of history for decades or even centuries ahead. I see it as my mission to contribute towards more consciousness in decision making, especially by developing and providing tools for education in engineering and natural sciences. 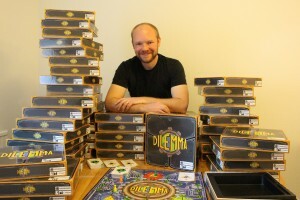 Board games developed for the class room, literature and teacher training courses are examples of such, which you find references to on this web site. If you have any inquiries or development ideas, don’t hesitate to send me a note.